A video of mysterious multiple lights over North Carolina's national seashore has been published on YouTube, prompting some to wonder whether it was an unidentified flying object (UFO). The unnamed author of the footage explained that he'd captured footage of "very bright, stationary, and silent" light in the sky in the evening of November 20, while he was fishing on the beach at Cape Lookout in North Carolina. "[…] Over the course of the next hour it faded in and out, as well as sometimes becoming multiple lights. Once it went away completely for about 20 minutes and then reappeared much closer to my position. This video is from that time range. Again, once it appeared, it would fade in and out and become up to four lights at once, but never changed its overall position." 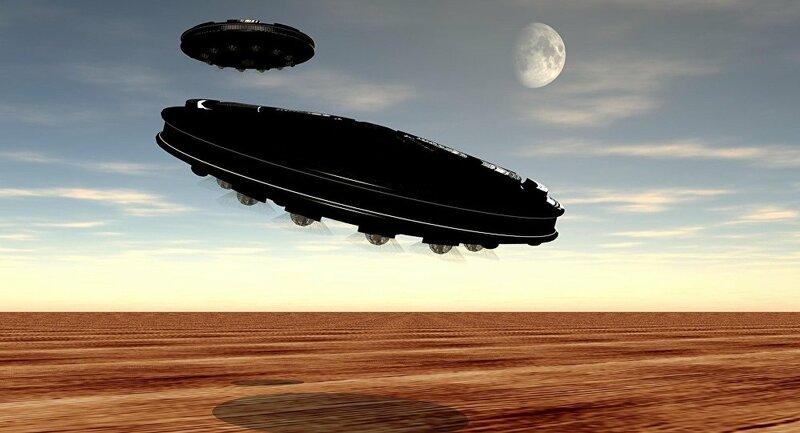 Commenting on the video, some YouTube users suggested that it was natural gas burning on an oil rig combined with atmospheric lensing rather than an UFO, while others said that they had no idea. One user struck a sarcastic tone, saying that the author of the video was "just lucky to not get abducted by the aliens".